LISBON, Portugal - Detail of the Arco da Rua Augusta on Praça do Comércio. Known as Commerce Square in English, Praça do Comércio is an historic square in the Pombaline Downtown district of Lisbon, next to the Tagus River. The Arch was built to commemorate the rebuilding of the city after the 1755 earthquake. 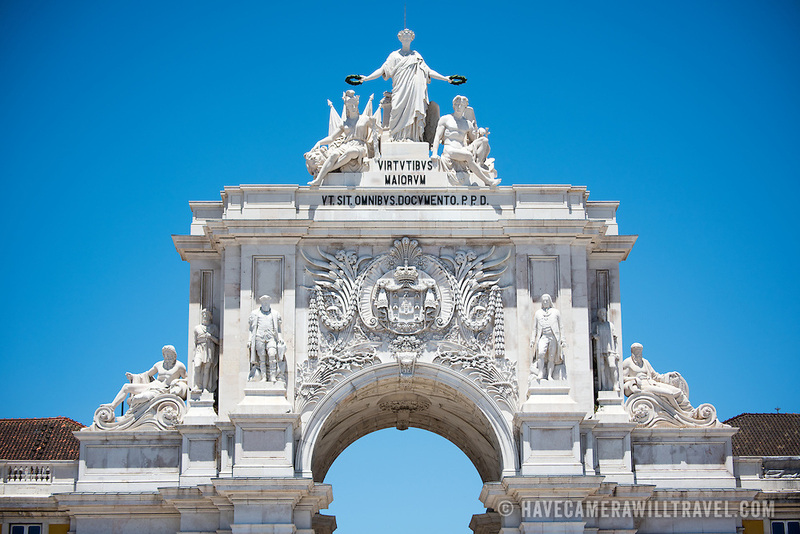 The sculptures on top of the Arch represent Glory rewarding Valor and Genius.